The other driver had no insurance? Not “enough” insurance? Happens ALL the time! I get these questions daily. 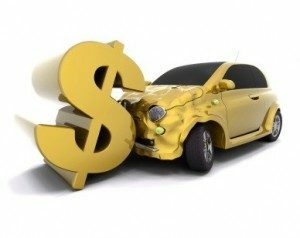 My clients are shocked to learn that (a) people actually drive cars with no insurance – as in 0 insurance; (b) they were hit and injured by someone with a basic policy of only $25,000.00 of coverage (the minimum in Illinois at this time); and/or (c) the other person’s insurance was just “rescinded” for fraud or misrepresentation in taking out the policy (aka – again – no insurance!). What can you do? 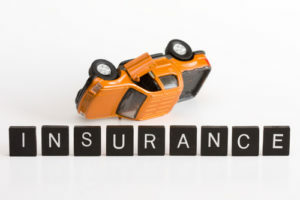 Hopefully, you have your own coverage of at least $25,000 (again, the minimum) to start with and then we can make an “uninsured motorist claim” (“UM”) claim with your own insurance if there is no insurance. Hopefully, you have much more insurance and then we can make an “under-insured motorist claim” (“UIM”) claim with your own insurance company. In either event – now we will be fighting your own insurance company to recover for you. NEVER talk to even your own insurance company or agent beyond the “duty to cooperate” and per your policy provisions and without a lawyer on the phone with you or in person! has an accident record, conviction record (criminal or traffic), or physical or mental condition that might endanger the public safety if they operate an automobile. is subject to an inspection law and has not been inspected, or if inspected, has failed to qualify. making false statements in an application for an operator’s or chauffeur’s license. Bottom line, make sure you hire a lawyer to “navigate these treacherous waters” immediately after an accident. You will be happy you did. It may seem easy to handle this on your own but your rights may be affected quickly and perhaps irreparably if you do not make the proper demands (arbitration), on time (statutes of limitations) or via the proper channels and per your policy provisions. An experienced automobile attorney is an absolute must. Hit and runs involve other problems. So do stolen cars being driven on the road. You can contact me 24/7/365 at 312-375-6524 (and I really mean that as I will answer my phone) if you have any questions about what claims/rights you may have after an accident and to learn how I may be able to help you or your loved one who may need, or simply want, a second opinion perhaps – in particular, you will find that I listen, take your phone calls and e-mails (and even text messages–BUT NOT WHILE DRIVING!! ).